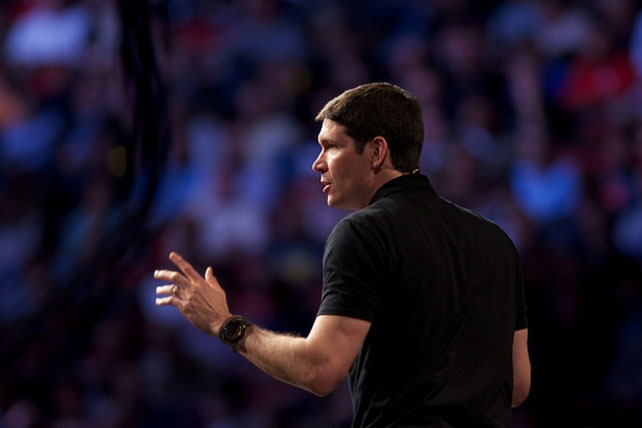 Home Pastors Articles for Pastors Matt Chandler: Is Church Membership Biblical? “The spouse of Christ cannot be adulterous; she is uncorrupted and pure. She knows one home; she guards with chaste modesty the sanctity of one couch. She keeps us for God. She appoints the sons whom she has born for the kingdom. Whoever is separated from the Church and is joined to an adulteress is separated from the promises of the Church; nor can he who forsakes the Church of Christ attain to the rewards of Christ. He is a stranger; he is profane; he is an enemy. He can no longer have God for his Father who has not the Church for his mother.” —Cyprian, Treatise on the Unity of the Church, 6. Highland Village First Baptist Church was a “seeker-sensitive” church in the Willow Creek mold and had no formal membership process, although they were actively working on one and wanted the new pastor’s input. I had a strong understanding of the church universal but wasn’t well versed—and as I said, I was somewhat skeptical—about the church local. We started growing quickly with young and oftentimes disenchanted 20-somethings who usually had no church background or bad church backgrounds. They liked The Village because we were “different.” This always struck me as strange because we weren’t doing anything but preaching and singing. In conversations with these men and women, I began to hear things like, “The church is corrupt; it’s just about money and a pastor’s ego,” or “I love Jesus; it’s the church I have a problem with.” My favorite one was, “When you organize the church, it loses its power.” Although something occasionally resonated in me with these comments (I, along with most of my generation, have authority and commitment issues), I found them confusing since they were being made to me by people who were attending the church where I was the pastor. Matt Chandler serves as lead pastor of The Village Church in Highland Village, TX. He describes his 7 year tenure at The Village as a re-planting effort where he was involved in changing the theological and philosophical culture of the congregation. The church has witnessed a tremendous response growing from 160 people to over 5000 including two satellite campuses (Denton and Northway). Alongside his current role as lead pastor, Matt is involved in church planting efforts both locally and internationally through The Village and various strategic partnerships.